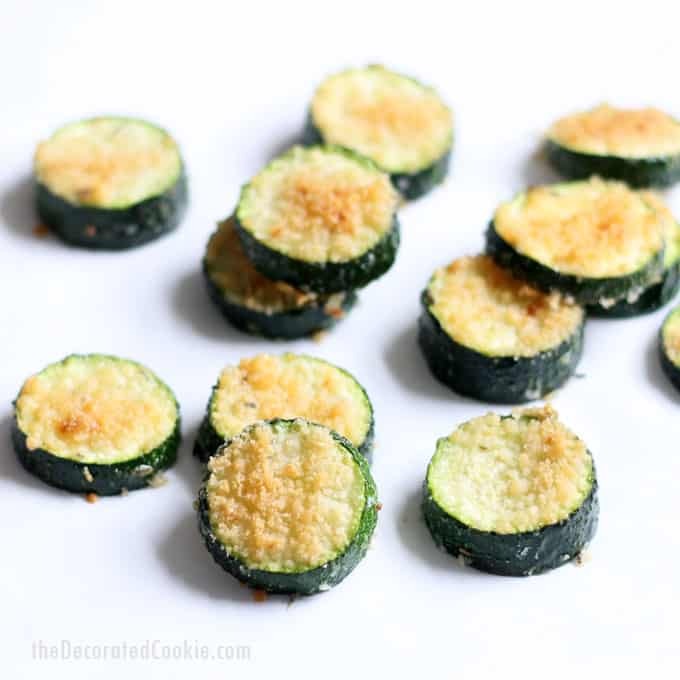 Parmesan zucchini chips are an easy, addictive snack, side dish, appetizer. 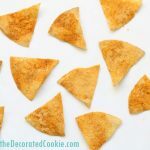 Parmesan zucchini chips are an easy, addictive snack, side dish, or appetizer. 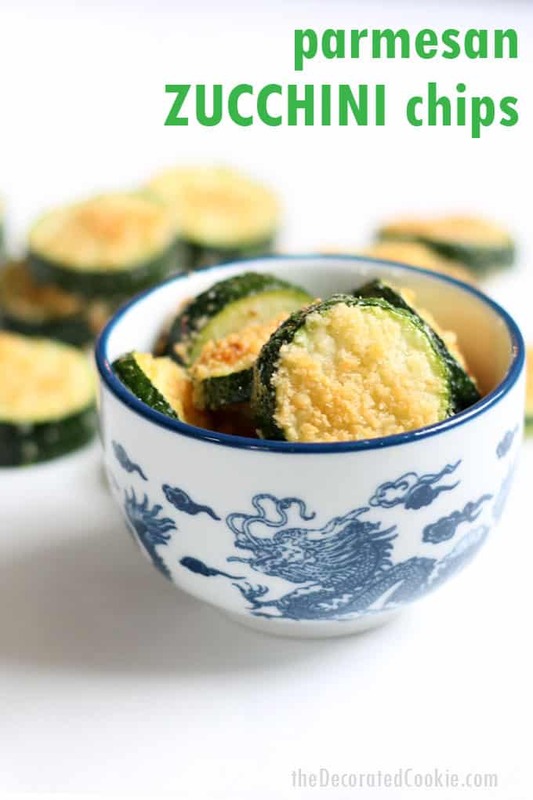 I don’t know if Parmesan zucchini “chips” is exactly the right name for this delicious veggie dish, because they aren’t exactly “crunchy” like chips. However, they are addictive like chips. I could eat this entire batch in one sitting (I ate almost half the tray while writing this blog post). I often make these not as a side dish, but just as a snack. They are that good. I’m not even a huge zucchini fan. I find it gets mushy so quickly, I tend to not cook much with it. 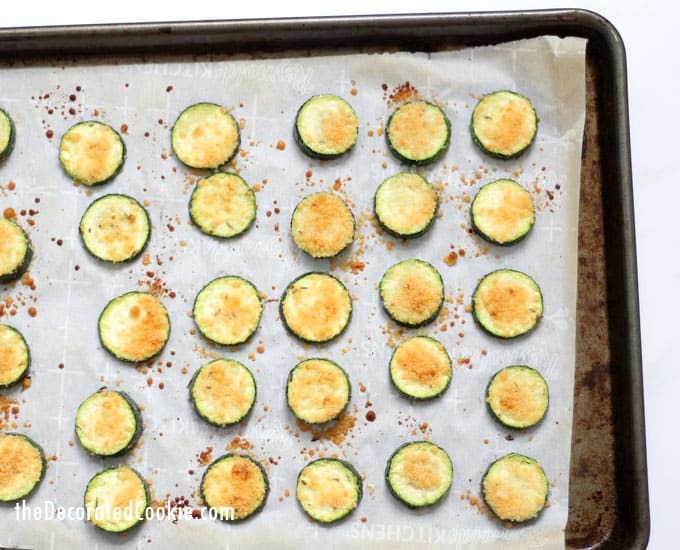 That’s why for this recipe, I only broil the zucchini without any other cooking. 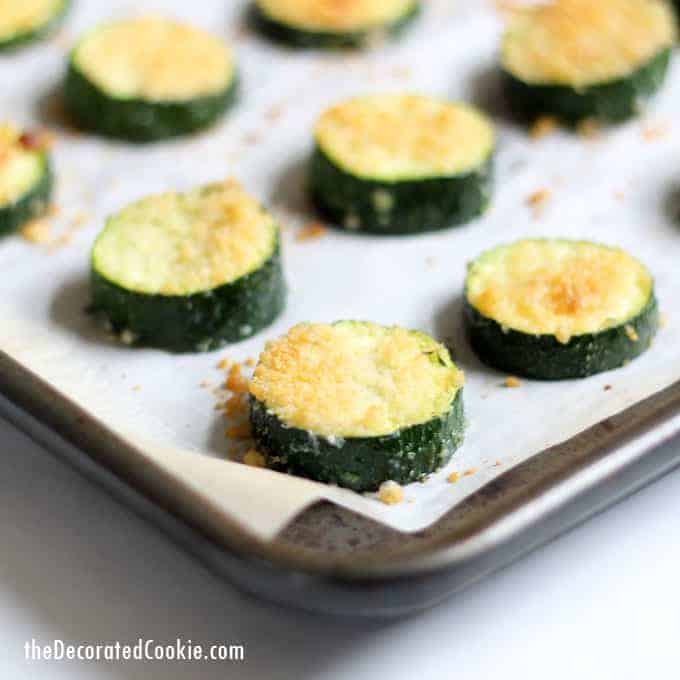 It’s just enough to keep the zucchini from getting mushy, but to get the cheese nice and golden brown. It’s now pretty much the only way I’ll make zucchini. 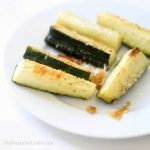 The main ingredients here are the zucchini, oil (I use avocado oil because it’s nice and light, but you may use olive oil), and Parmesan. But you can add any seasonings you like. I add lemon pepper, salt, and garlic powder. 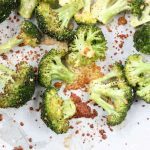 Sometimes I toss in some red pepper flakes. If the kids like these, try these homemade smiley fries, too. 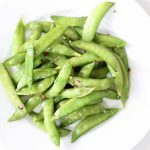 I often snack on roasted sugar snap peas as well. Mix the zucchini, oil, and seasonings. Spread on a baking tray lined with parchment paper. 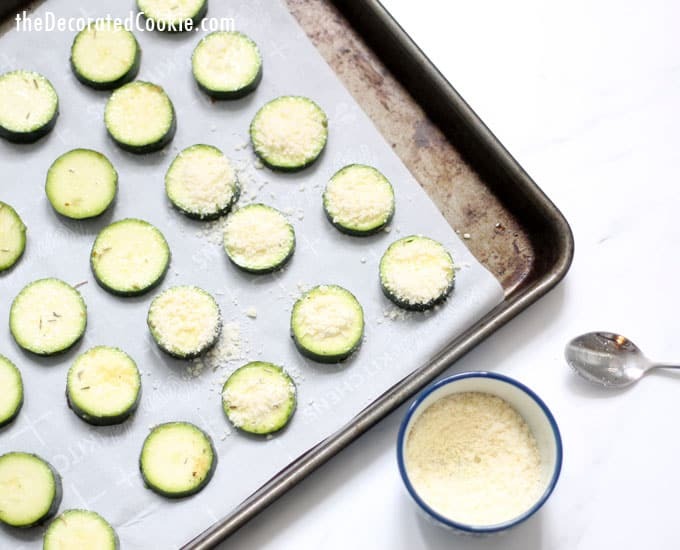 Spoon a bit of Parmesan cheese on each zucchini round. Broil for 6 to 8 minutes OR until golden brown on top.